Dave Johnston doesn’t quite have the appearance of a long-distance runner. A three-foot blond ponytail wrapped in rubber bands hangs down to his legs. He’d just as soon wear fifteen-year-old race T-shirts and board shorts as performance clothing during a run. In the winter, his running gear is comprised of homemade innovations such as fleece elbow warmers and a face-warming mask made of three surgical masks with holes cut for his nose and mouth. While other runners down electrolyte liquids and caffeine-laced energy drinks in the middle of long races, Johnston prefers a can or three of Budweiser. But when he’s running trails, Dave Johnston is fast; on snow, he’s almost unstoppable. Johnston arrived in McGrath, Alaska, at 9:13 Friday morning to win the 350-mile Iditarod Trail Invitational race in 4 days, 19 hours, and 13 minutes. 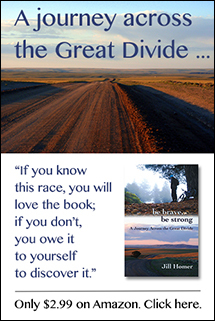 Chasers such as Joe Grant of Colorado, an accomplished ultrarunner himself, were still more than fifty miles behind. It’s the second fastest time ever posted on foot in the race, and only four hours of Steve Reifenstuhl’s 2005 record that most connected to this race considered untouchable. Even Geoff Roes, a two-time “Ultrarunner of the Year” who won the ITI foot division in 2012, has said that Reifenstuhl’s record is only remotely approachable by an athlete who not only possessed top-level conditioning and determination, but also a lot of luck. 2013 was a year of luck in the ITI. Although warmer than freezing temperatures made for generally soft snow conditions, trails were well-packed throughout the course, and no big storms or wind events hit during the first four days of the race. As of 11 a.m. Friday, nearly five days into the event, not a single runner or cyclist of 48 starters had scratched from the race. There are at least 20 McGrath finishers so far, and more are trickling in by the hour. A few of these racers will continue on to Nome. 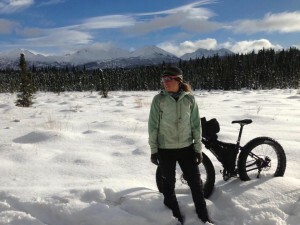 Eszter Horanyi shortly after she arrived in Alaska. Photo from Eszter Horanyi. Among these finishers is the Eszter Horanyi, who won the women’s division and shaved five hours off the women’s bicycle record with a time of 3 days, 16 hours, and 20 minutes. Horanyi has had a dominant few years in ultraendurance cycling, and also holds the women’s course records in the 480-mile Colorado Trail Race and the 2,700-mile Tour Divide. One could say this achievement earns her a triple crown in North American bikepack racing. Seven cyclists finished faster than the former men’s cycling record, and winner Jay Petervary shaved ten hours off the former top time. The women’s foot record is still in jeopardy as Nome runners Anne Ver Hoef and Loreen Hewitt make their way toward the 300-mile Nikolai checkpoint. No skiers competed in this year’s race. Beat Jegerlehner is currently about halfway between Rohn and Nikolai, about mile 250 of the race. He said conditions are currently favorable with overcast skies and temperatures in the 20s, although colder air is expected to move in tonight. 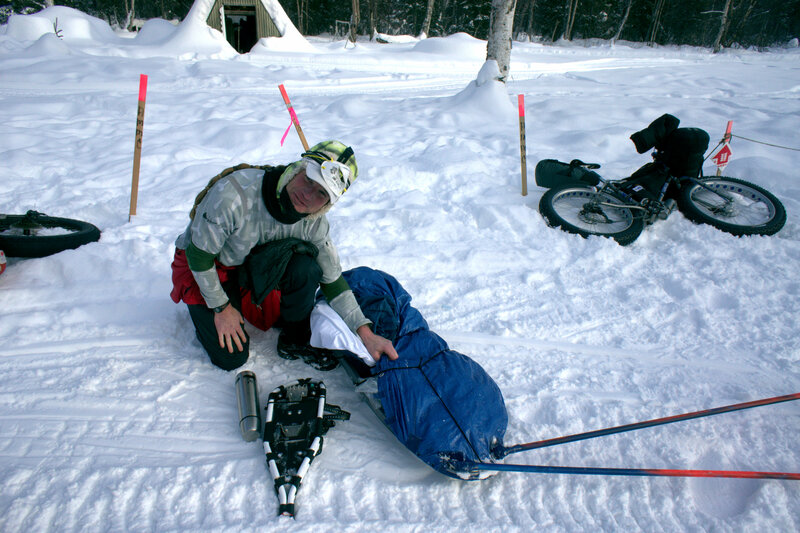 He plans to spend the night at a cabin about 25 miles from Nikolai before continuing on Saturday morning. For a graphic on positions of racers still in the race, visit this link. For the latest updates, visit the ITI Facebook page. Jill, great article….love the read.. It seems to me that you really like/love what you do…writing, photography, participating…. Thanks! !